Celebrate Valentine´s Day at ARIA Hotel in Prague with two special offers that promise romance and relaxation. 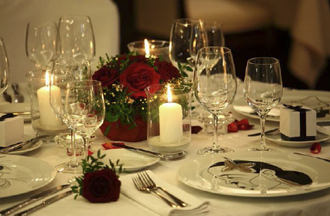 Enjoy a sumptuous dinner in CODA Restaurant or take advantage of the Valentine´s package that pampers couples. Valentine's getaway the two of you have ever shared, in the heart of Prague. Package valid: 12. – 16. 2. 2010 and is subject to min 2 nights stay.